The T-50 Golden Eagle, formerly known as the KTX-2, jet trainer and light attack aircraft was built for the Republic of Korea Air Force (RoKAF). The aircraft was developed in the T-50A advanced trainer and T-50B lead in fighter trainer versions. The T-50 LIFT is called the A-50 by the RoKAF. The T-50 is designed to provide pilot training for current and next-generation fighters such as advanced F-16s, F-22s and the F-35 joint strike fighter. 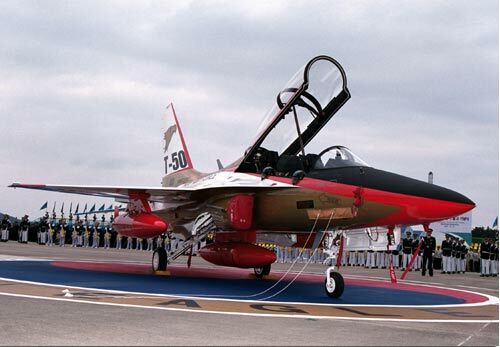 The first flight of the T-50 took place in August 2002. The RoKAF has a requirement for 50 T-50 trainers and 44 T-50 LIFTs. RoKAF placed a production contract for the first 25 T-50 in December 2003 and the first production aircraft was rolled out in August 2005. T-50A Initial designation for unarmed Advanced Jet Trainer version. 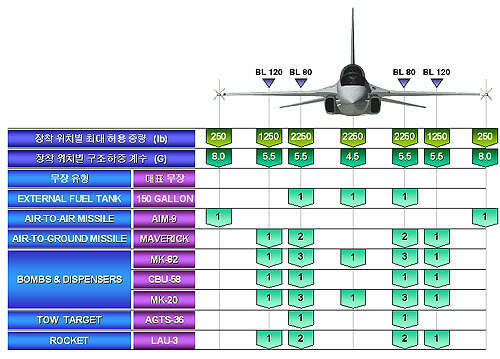 T-50B Initial designation for Fighter Lead In Trainer version, with APG-67 radar and M61 internal gun. Later incorporated into A-50 version. T-50 Golden Eagle Official designation for unarmed Advanced Jet Trainer version. Also known as T-50 AJT. A-50 Golden Eagle Official RoKAF designation for armed version with APG-67 radar and M61 internal gun. Also known as T-50 LIFT. Fighter Lead In Trainer/Light Attack variant. The first two aircraft were delivered to RoKAF in December 2005 and entered service in April 2007. A total of 13 aircraft were deployed for training purposes in 2007. Two squadrons (30 to 40 aircraft) began operations by 2008. The 50th and final T-50 was delivered to the RoKAF in May 2010. One thousand flights have been completed in the test programme. The A-50 made its first flight in September 2003. A programme of weapon delivery flight testing was completed and deliveries of the A-50 began in 2009. In December 2006, the RoKAF placed a second production contract for 50 T-50 and A-50 aircraft. KAI developed a fighter version based on the T-50, called the FA-50 for the RoKAF, which has a requirement for 60 aircraft to replace the F-5. In December 2011, KAI signed a production contract with Defense Acquisition Programme Administration (DAPA) to deliver 20 FA-50 aircraft by 2014. The aircraft obtained type certificate in November 2012. The FA-50 is fitted with air-to-air and air-to-surface missiles, 20mm cannon, Joint Direct Attack Munitions (JDAM) and Sensor Fused Weapon (SFW). The FA-50 is the most advanced version of the T-50, possessing more internal fuel capacity, enhanced avionics, a longer radome and a tactical datalink. It is equipped with a modified Israeli EL/M-2032 pulse-Doppler radar with Korean-specific modifications by LIG Nex1. 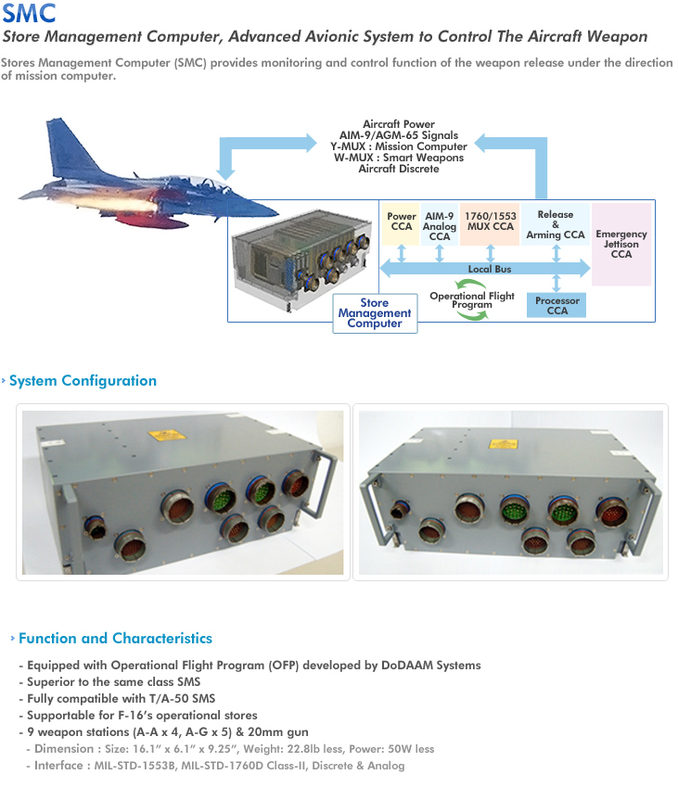 EL/M-2032 is an advanced pulse Doppler, multimode fire control radar intended for multi-mission fighter aircraft. 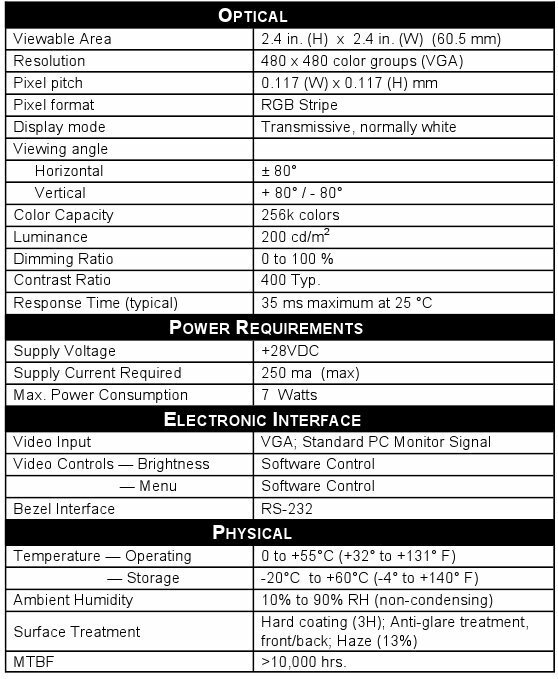 It is suitable for air-to-air and air-to-surface modes. In the air-to-air mode the radar delivers long-range target detection and tracking capability. In the air-to-surface mode, the radar generates high resolution ground imagery using Synthetic Aperture Radar (SAR) technology for smart weapons guidance. Air-to-Sea mode provides long-range detection and tracking as well as target identification capability. 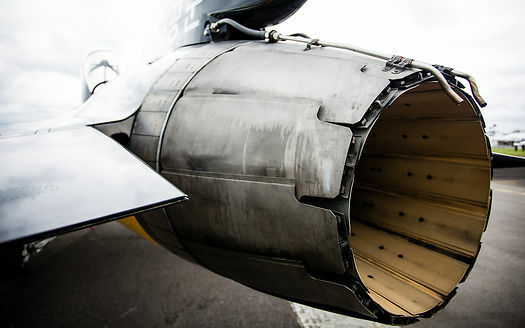 The engine could be either Eurojet EJ200 or General Electric F414, upgraded to 20,000 lb or 22,000 lb thrust, roughly 12–25% higher than the F404’s thrust; and are offered to prospective customers for the T-50. The radar of the FA-50 has a range two-thirds greater than the TA-50’s radar. The EJ200 is a twin shaft reheated turbofan, with three low pressure (LP) and five high pressure (HP) compressor stages, powered by two single-stage turbines (LP and HP). The combustor is annular with airspray injectors. The engine reheat system features a 3-stage manifold system and a convergent/divergent nozzle. Engine control is by an integrated application of blisks, wide-chord aerofoils, single crystal blades, an airspray combustion system, and an integral Full Authority Digital Engine Control (FADEC) providing low pilot workload and comprehensive fleet management capability. 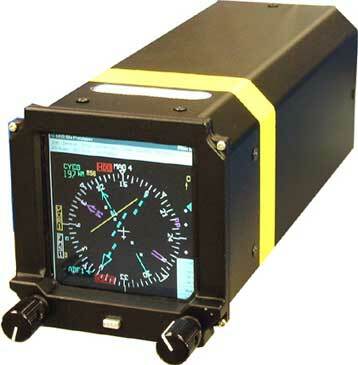 The avionics package consists of embedded Inertial Navigation System/Global Positioning System (INS/GPS), integrated mission computer, identification, friend or foe (IFF), radar altimeter, multimode radar, store management system, UHF/VHF radio, tactical data link, data transfer and recording system, Radar Warning Receiver (RWR) and Counter Measure Dispensing System (CMDS). The FA-50 aircraft can carry a weapons load of up to 4.5t. The aircraft can be armed with AIM-9 Sidewinder short-range air-to-air missiles, AGM-65 Maverick air-to-ground tactical missiles (AGM), GBU-38/B Joint Direct Attack Munitions (JDAM), CBU-105 Sensor Fused Weapon (SFW), Mk-82 Low Drag General Purpose (LDGP) bombs and Cluster Bomb Units (CBUs). The Philippine Air Force chose 12 KAI TA-50 aircraft to fulfill its requirement for a light attack and lead-in fighter trainer aircraft. The Department of National Defense (DND) announced the selection of the type in August 2012. Funding for 12 aircraft was approved by Congress on September 2012, but by late January 2013, state media reported that the FA-50, not the TA-50 as previously reported, was selected for the procurement. In October 2013, President Aquino said the DND was close to finalizing the FA-50 deal, and on 19 October 2013, President Aquino and President Park Geun-hye of South Korea signed a memorandum of understanding (MoU) with provisions for acquisitions. On 13 February 2014, President Aquino approved the payment scheme for purchasing 12 lead-in fighter trainers with P18.9 billion ($415.7 million) budgeted. On 28 March 2014, the Philippines’ Department of National Defense signed a contract for 12 FA-50 light attack aircraft worth P18.9 billion (US$421.12 million). Deliveries began in November 2015 and are expected to be completed in May 2017. The first four FA-50PH aircraft delivered were displayed on 1 December 2016. Plans call for 3 to 4 of 12 aircraft to be fitted with capability for beyond visual range (BVR) intercept. 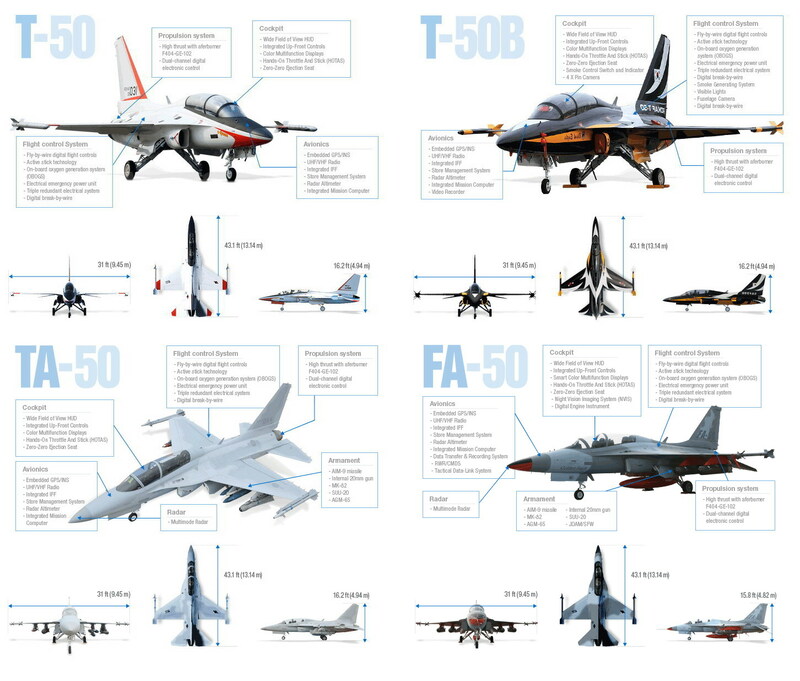 In March 2015, Stockholm International Peace Research Institute (SIPRI) reported that the Philippines plans to order additional FA-50s, which is supported by the PAF flight plan 2028 that lists another 12 FA-50s planned for the future. The TA-50, the maiden armed variant of T-50, was introduced in January 2011 for deployment in lead-in fighter training operations. Indonesia awarded a $400m contract to KAI in May 2011 to supply 16 T-50s. Deliveries will be completed by the end of 2013. KAI T-50TH at the Defense and Security 2015 exhibition at Bangkok KAI release more data of Royal Thai Air Force T-50TH lead-in fighter trainer replacing L-39ZA/ART that it will feature fire control radar and weapon system. It is not yet clear that the radar is EL/M-2032, but there will be an RWR system installed, hinting about the BVR capability of the aircraft.T-50TH also have the MIL-STD-1760 Weapon Interface data bus and capable of conducting the precision strike mission using smart bomb. The countermeasures dispenser system and Link-16 is still provisional. KAI said that they are on talk for the second phase of T-50TH sale. Deputy Prime Minister Prawit Wongsuwon will seek cabinet approval Tuesday for the purchase of an additional eight supersonic T-50 jet trainers worth 7.9 billion baht from South Korea, a government source said. The purchase will be financed by the dedicated budget of the Royal Thai Air Force over the next three years, he said. The air force planned to seal the deal for the aircraft in Korea, tentatively on July 29, with Korea Aerospace Industries (KAI), said the source. Lockheed Martin completed a first test flight of a modernised T-50A that it developed jointly with Korea Aerospace Industries for US Air Force’s (USAF’s) T-X trainer programme, the company announced on 2 June. 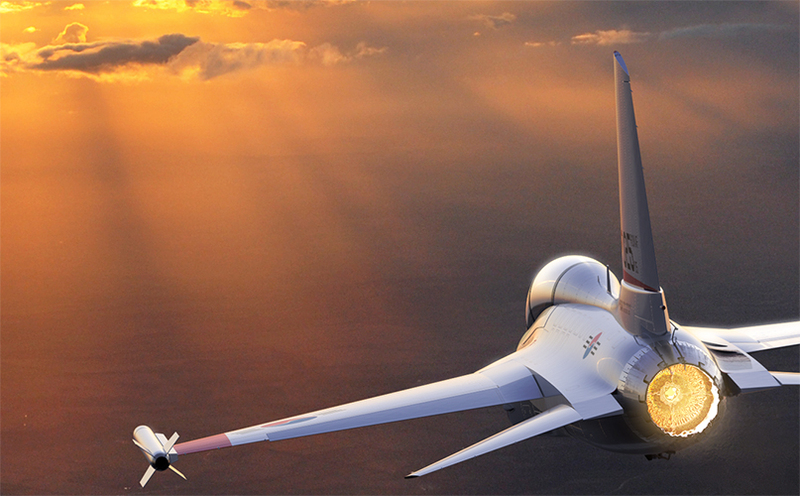 Lockheed Martin has begun conducting flight operations with its T-50A training aircraft to test its capabilities. The operations followed an initial flight test, which took place on Nov. 19, company officials announced in a press release. Korea Aerospace Industries Ltd. (KAI) is on the verge of losing a chance to bid for what would be its biggest defense contract worth 17 trillion won ($15.1 billion) amid ongoing investigations by the South Korean prosecutors over alleged corruptions in the company. The prosecutors also suspect KAI inflated the value of the proceeds from the sale of a light attack aircraft, the FA-50, to Iraq, in a deal worth some 3 trillion won (US$2.65 billion). One KAI executive was arrested early this month and another is awaiting a court decision on the prosecution’s request for his arrest warrant. The aircraft’s development was funded 13% by Lockheed Martin, 17% by Korea Aerospace Industries and 70% by the Government of South Korea. Korea Aerospace Industries (KAI) is the Republic of Korea’s national aerospace company, established in 1999 with the consolidation of Samsung Aerospace, Daewoo Heavy Industries and the Hyundai Space and Aircraft Company. The T-50 was built at the KAI facility in Sachon. The T-50 Golden Eagle has digital fly-by-wire controls and hands on throttle and stick (HOTAS). The cockpit displays include two 127mm full colour Honeywell multifunction displays, Honeywell instrumentation displays and a head-up display (HUD) supplied by BAE Systems. 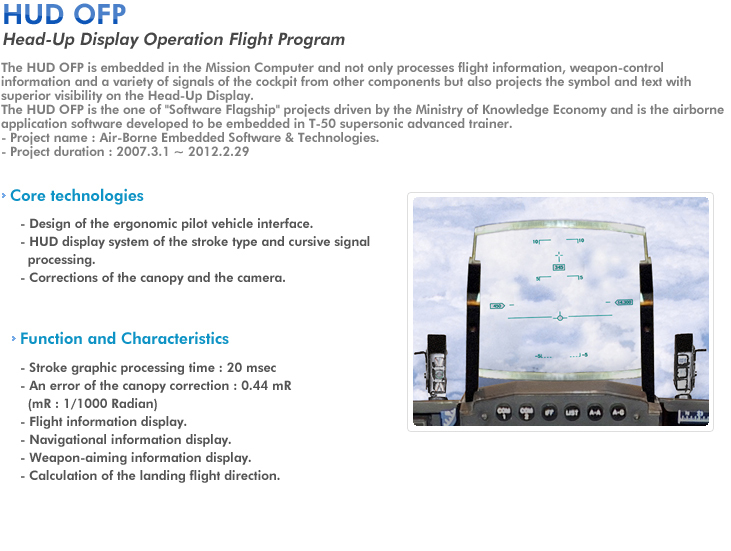 The full authority digital flight control system and avionics were developed by Lockheed Martin Aeronautics Division at Fort Worth. 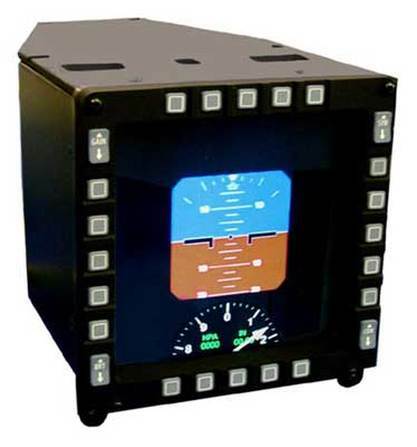 The flight equipment includes a navigation / attack system, a Honeywell H-764G embedded global positioning / inertial navigation system and HG9550 radar altimeter, Rockwell Collins VIR-130A integrated VOR / instrument landing system and ARN-153V advanced digital tactical aid to navigation, and Raytheon ARC-232 VHF radio. Field tested and proven over many years and on multiple platforms, the TCN-500 is the latest technology airborne Receiver-Transmitter (RT) component of the Tactical Airborne Navigation (TACAN) system. 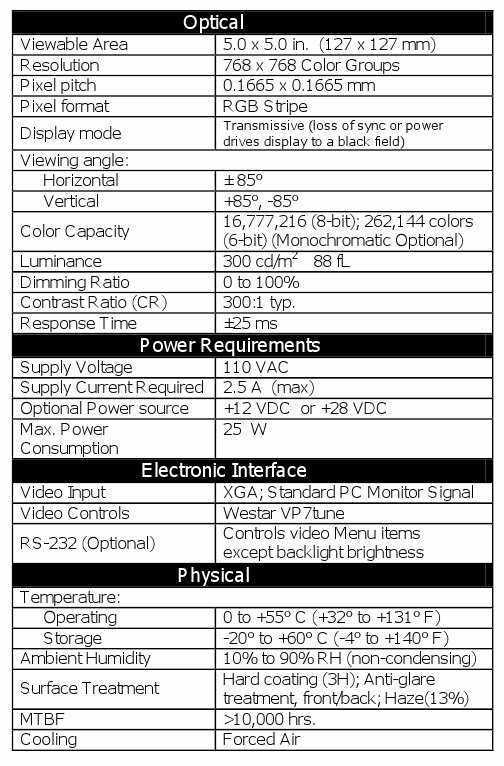 The TCN-500 RT measures the slant-range distance and relative bearing to a selected ground station or an airborne beacon and computes velocity and time-to-go to that station. An optional configuration measures slant-range distance to up to three selected ground stations for RHO-RHO or DME-DME area navigation. The AN/APG-67(V)4 multi-mode radar, supplied by Lockheed Martin, is installed in the nose of the LIFT version. 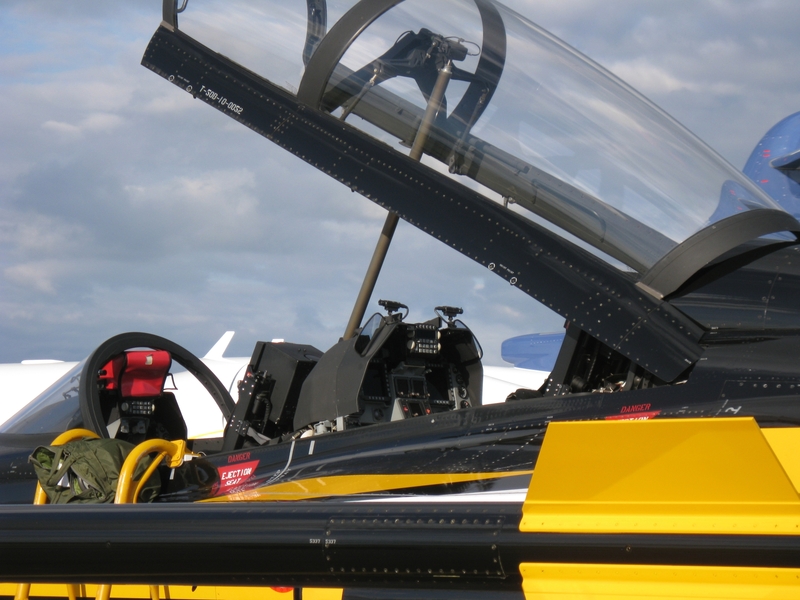 The two-crew, tandem-stepped cockpit is fitted with an onboard oxygen generating system (OBOGS) and ejection seats supplied by Martin Baker of Uxbridge, UK. The aircraft has seven external hardpoints for carrying weapons, one on the centreline under the fuselage, two hardpoints under each wing and an air-to-air missile launch rail at the two wingtips. The wingtip launch rails can carry AIM-9 Sidewinder missiles. The underwing and centreline hardpoints can carry rocket pods, air-to-surface missiles or air-to-air missiles according to the mission requirements, for example, AGM-65 Maverick missiles or mk82 / 83/ 84 bombs or rocket launchers. In November 2005, the A-50 successfully test-fired an AIM-9L air-to-air missile. The AIM-120 AMRAAM (Advanced Medium-Range Air-to-Air Missile) is one of the most modern, powerful, and widely used air-to-air missiles in the entire world. After it entered limited service in 1991, this missile has been exported to about 35 countries around the world, where it has certainly been proven with over 3 900 test shots and 10 combat victories. By the 1980s, the US deemed its current stock of air-to-air missiles, particularly the medium-range AIM-7 Sparrow, were obsolete, or at least not as capable as the latest Soviet missiles of the time. While the Sparrow was effective, with about 60 kills, it was not effective enough. In particular, it had one crushing fault—it was not fire-and-forget, meaning that the pilot was forced to remain on the scene and in danger until the missile reached its target. 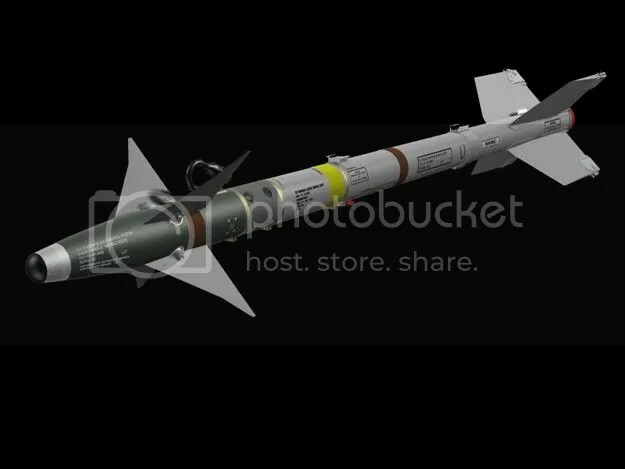 So, development of the AIM-120 AMRAAM began, along with European development of a short-range missile, resulting in the ASRAAM. In 1991, the AMRAAM entered limited service in the US Air Force. Two years later, it was fully operational there as well as the US Navy, while other countries started to show considerable interest. The Maverick has a cylindrical body, and either a rounded glass nose for electro-optical imaging, or a zinc sulfide nose for imaging infrared. It has long-chord delta wings and tail control surfaces mounted close to the trailing edge of the wing of the aircraft using it. The warhead is in the missile’s center section. A cone-shaped warhead, one of two types carried by the Maverick missile, is fired by a contact fuse in the nose. The other is a delayed-fuse penetrator, a heavyweight warhead that penetrates the target with its kinetic energy before firing. The latter is very effective against large, hard targets. The propulsion system for both types is a solid-rocket motor behind the warhead. 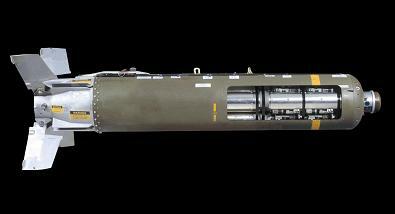 The M151 HEPD is a unitary fragmenting 10-pound anti-personnel, anti-material warhead with the M423 Point Detonating Fuze. Upon detonation, the warhead fragments into thousands of small high velocity fragments. The fuzed warhead is 16.2″ long and weighs 9.3 pounds. The M156 white phosphorus (smoke) is primarily used for target marking. The M156 has the same ballistic characteristics as the M151 warhead and is of similar construction. Filler for the M156 is 2.2 pounds of white phosphorus with a 0.12 pound bursting charge of composition B. 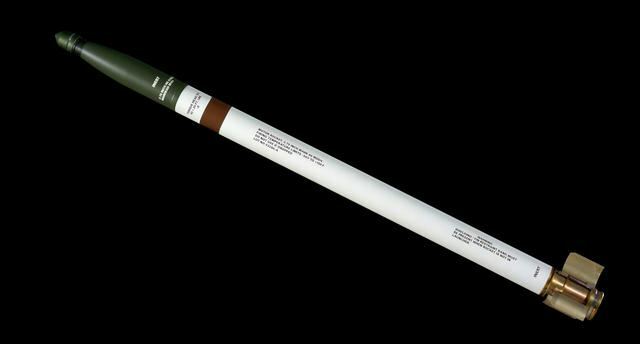 The fuzed warhead is 16.2″ long and weighs 9.65 pounds. The M229 High Explosive warhead is a heavier version of the M151. The U.S. Army is currently not buying this variant. The fuzed warhead is 26″ long and weighs 17 pounds. 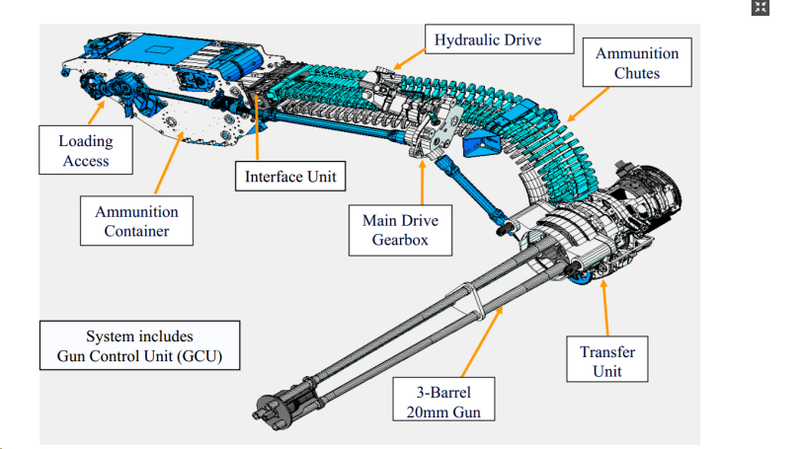 The M255A1 Flechette warhead consists of a nose cone assembly, a warhead case, an integral fuze, 1,179 60-grain flechettes and an expulsion charge assembly. The primary fuze (M439) is remotely set with the Aerial Rocket Control System (ARCS) Multifunctional Display (MFD) or Rocket Management System (RMS) to provide a range from 500 meters to 7,200 meters. At expulsion, the 1,179 60-grain, hardened-steel flechettes separate and form a disk-like mass which breaks up with each flechette assuming an independent trajectory. The flechette uses kinetic energy derived from the velocity of the rocket to produce the desired impact and penetration of the target. The fuzed warhead is 26.9″ long and weighs 14 pounds. The M257 Illuminating warhead is designed to provide battlefield illumination and does not require the use of Infrared (IR) goggles. The M257 flare rocket can be launched by from either fixed wing or rotary-wing aircraft. The M442 motor burnout fuze functions after a 9-second delay. The fuzed warhead is 29.1″ long and weighs 11 pounds. The MPSM warhead (weight is 13.9 pounds) provides improved lethal effectiveness against area targets such as light armor, wheeled vehicles, materiel, and personnel. The M73 Submunitions are deployed over the target and descend almost vertically. The M261 Warhead is a cargo warhead consisting of a nose cone assembly, a case, integral fuze, nine submunitions, and an expulsion charge assembly. The primary M439 warhead fuze is remotely set with the Aerial Rocket Control System (ARCS), Multifunctional Display (MFD) or Rocket Management System (RMS) to provide a range from 500 meters to 7,200 meters. The M264 RP (red phosphorous) Smoke is used as a red phosphorous filled smoke rocket propelled by the Mk 66 motor and the smoke is deployed at a range set remotely from within the aircraft cockpit. The M264 warhead is used for smoke obscuration in the visible light spectrum. The fuzed warhead is 26.9″ long and weighs 8.6 pounds. 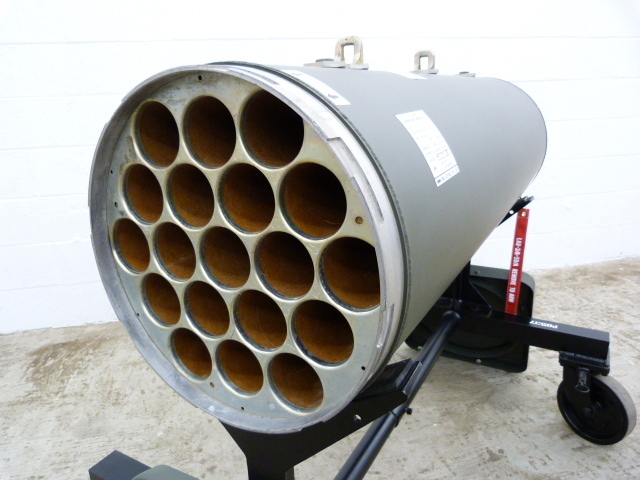 The M274 warhead is a smoke/flash signature practice warhead used for pilot/gunner training missions and consists of a cast iron warhead modified with vent holes, an aluminum nose cap with firing pin, a M423 fuze safe and arming device, and a smoke/flash cartridge. The fuzed warhead is 16.2″ long and weighs 9.3 pounds. The M278 Infrared Flare warhead is designed for battlefield illumination for use with Infrared (IR) goggles. The flare rockets can be launched from either fixed wing or rotary-wing aircraft. The 442 motor burnout fuze functions after a 9-second delay. The fuzed warhead is 29.1″ long and weighs 11 pounds. The fuzed warhead is 16.2″ long and weighs 9.3 pounds. A 20mm General Dynamics Armaments three-barrel M61 cannon is installed internally on the A-50 LIFT version. The gun is mounted behind the cockpit and carries 205 rounds of ammunition in a linear linkless feed system. The A-50 LIFT can carry electronic warfare pods and a radar warning receiver. The A-50 Gun System used on the FA-50PH. Photo courtesy of General Dynamics. The T-50 Golden Eagle is powered by a single General Electric turbofan engine, type F404-GE-102, with full authority digital electronic control (FADEC). It is a derivative of the 402 with additional improvements in the turbine and afterburner. The engine has twin side-mounted air intakes on either side of the fuselage under the wing. The engine, with a three-fan stage and seven axial stage arrangement, is equipped with full authority digital engine control and generates 78.7kN with afterburn. The aircraft is fitted with an Argo-Tech fuel system. The power generator is supplied by Hamilton Sundstrand. 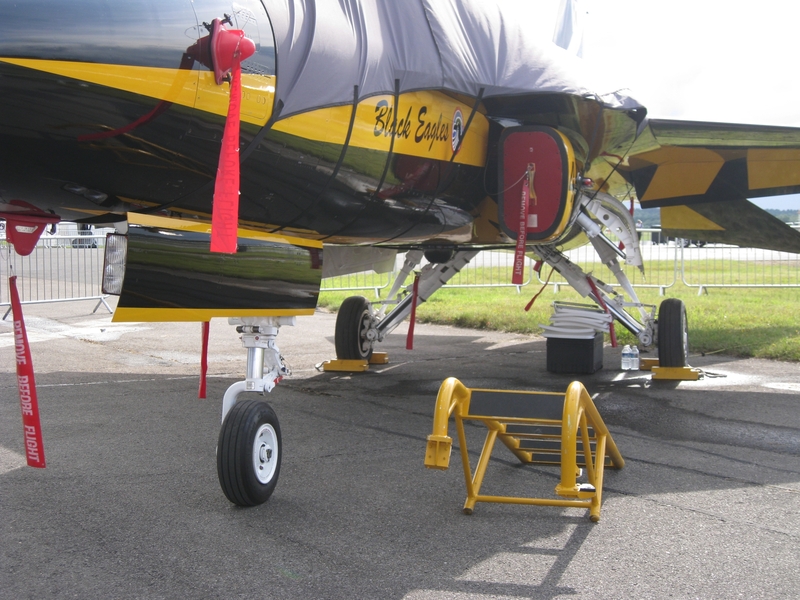 The aircraft is equipped with Messier Dowty retractable tricycle-type landing gear. Each unit is single wheeled and fitted with oleo pneumatic shock absorbers. 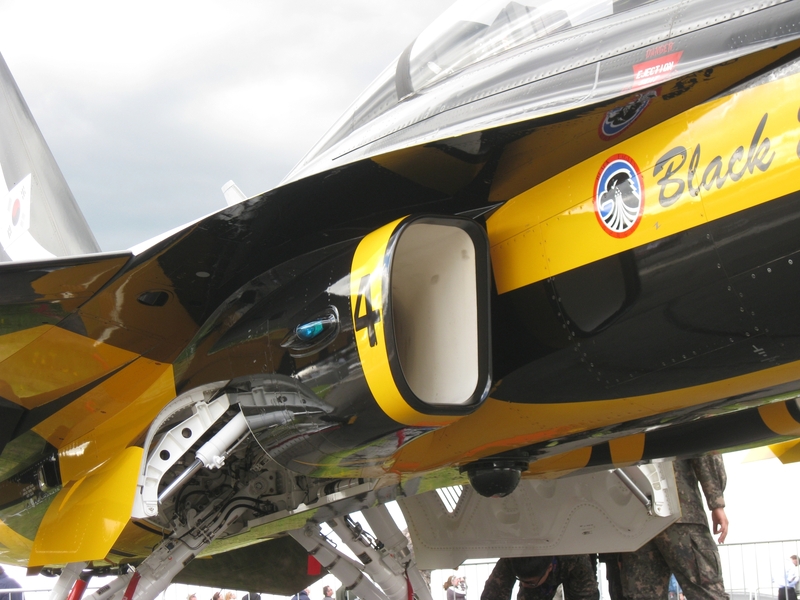 The main wheels are retracted into the trunks of the engine air intakes. The nose wheel retracts forward. The T-50 can fly at a maximum speed of 1,837km per hour. The range and service ceiling of the aircraft are 1,851km and 16,764m respectively. The service life is 10,000 hours. This entry was posted in Uncategorized on November 16, 2015 by nonothai. It is far from a pocket fighter since the performance is very close to the F-18 Hornet, and with the 22,500 lb thrust it can out perform the F-18. This is a unique fighter that is smaller, fast, and can out turn the larger fighters. In a dog fight they will hold their own. Not a problem and that’s why I think their still is a niche for Pocket fighters and Point defense fighters such as the M-346 Master, BAE Hawk 200, Yak-130 and the F/A50 Golden Eagle. Look at the first generation of Pocket fighters and point defense fighters such as the A-4 Skyhawk. That’s why the F/A-50 fills a niche for a low cost pocket fighter and a point defense fighter for countries who are on an extremely tight budget. Pocket fighters like the M-346 Master, BAE Hawk 200, Yak-130 and the F/A50 Golden Eagle fulfill a niche for countries like the Philippines and even small countries who can’t afford High end European, Russian or American fighters. That’s why for countries who can’t afford a Gripen, the M-346 Master, BAE Hawk 200, Yak-130 and the F/A50 Golden Eagle is an option for them.